The bottom thread design is more slip resistant and the height can be adjusted,suitable for people of different heights. Please confirm the size before purchase to prevent the wrong size from being purchased and affect your normal use. The color of the image may vary due to the difference between the light and the display,please refer to the actual product. This object does not contain other decorations in the image. Manual measurements may have an error of 1-3 cm. Delivery time of about 10-20 working days. Help users to walk and rehabilitate, both indoors and outdoors. 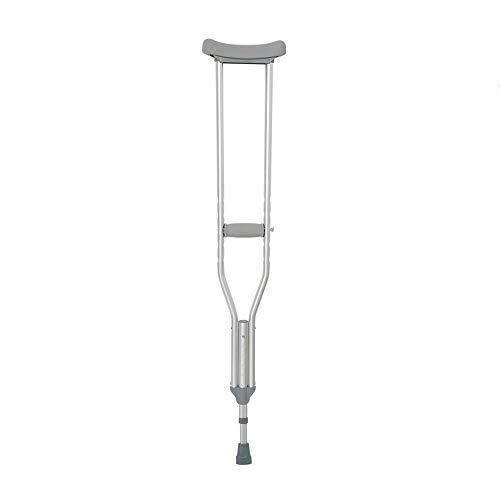 Material: aluminum alloy, size: 95-107cm, 113-126cm, 126-139cm, load capacity: 150kg. Aluminium alloy material, more lightweight, strong load-bearing capacity, anti-oxidation,built-in hidden shock absorbing spring to reduce impact and effectively decompress. The small size is suitable for height 135-150cm, the medium size is suitable for height 150-170cm, and the large size is suitable for height 170-185cm. If you have any questions about this product by HN Walker, contact us by completing and submitting the form below. If you are looking for a specif part number, please include it with your message.